Today (June 1) sees the launch of Surrey and Sussex Police’s summer drink and driving campaign – also known as Operation Dragonfly. The month of action will see the counties’ joint Roads Policing Unit carry out dedicated patrols to put the brakes on any motorists who take to the road while under the influence of intoxicating substances. The initiative is being supported by the Sussex Safer Roads Partnership, DriveSmart in Surrey and the independent charity Crimestoppers. As well as RPU officers a number of Special Constables from Sussex will also be out on roads network to help target drink and drug drivers, said police. Approximately 300 officers across the force are now fully qualified to test motorists for drugs on the roadside, added police. This is in addition to the hundreds more already able to test suspected drink drivers, making it even harder for motorists to get away with offences. Superintendent Chris Moon, Head of Surrey and Sussex Roads Policing Unit, said: “In the summer months when the weather tends to be nicer people will often stay out drinking later into the evening. “There are some who find the temptation of driving home after a few drinks all too appealing and we want to share the message that this is not acceptable and drink or drug driving of any kind won’t be tolerated in Surrey or Sussex. “Our advice is simple – go cold turkey or do not drive. “Driving with drink or drugs in your system impairs your judgement and ability to drive safely. “Not only can you cause injury or death to others, being caught drink or drug driving can also have other consequences such as a criminal record, a heavy fine, losing your job and licence and an increase in insurance premiums. “It’s also worth remembering that it’s not just about planning your journey home, you may still be over the limit the following morning. “Passengers should not accept lifts from drivers who they know have drunk alcohol or taken drugs. Anyone caught drink or drug-driving will be dealt with robustly – said police. “Offenders face a minimum 12-month disqualification, up to six months imprisonment and a fine of up to £5000,” added police. Members of the public are also being asked to play their part by reporting anyone they suspect to be driving under the influence. 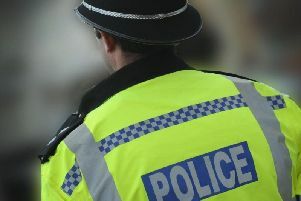 People in Sussex can text officers on 65999 with the details of people they suspect of drink or drug driving or visit www.operationcrackdown.org/. People can also contact the independent charity Crimestoppers anonymously here or call 0800 555 111. And if people know someone is driving while over the limit through drink or drugs, call 999.